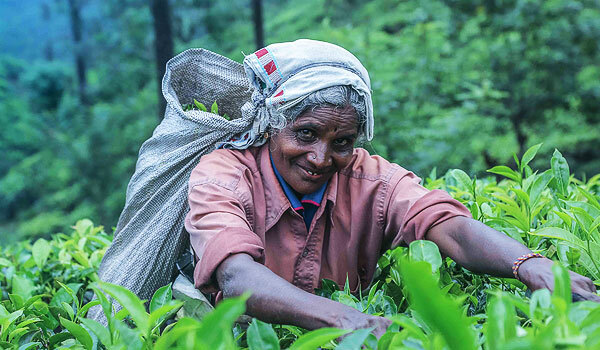 Sri Lanka’s broad diversity makes it an island like no other. The beautiful beaches of the south, the mysterious mangroves that line the Mahaweli river, the cloud forests of Horton Plains National Park, the unique flora and fauna of Knuckles Mountain Range… the list goes on. Considering its size, this wide variety is astonishing. 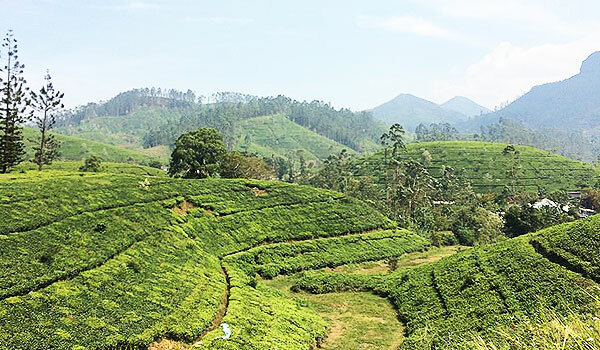 Unarguably, some of Sri Lanka’s most spectacular scenery is found in the hill country: rolling hills covered with endless tea plantations, gushing waterfalls and plunging gorges and mist-shrouded mountains peppered with enormous fir trees. The temperature is also roughly 10C lower than on the coast, making it ideal weather for the hiking and trekking that is so popular in this area (see more information in our next blog post). 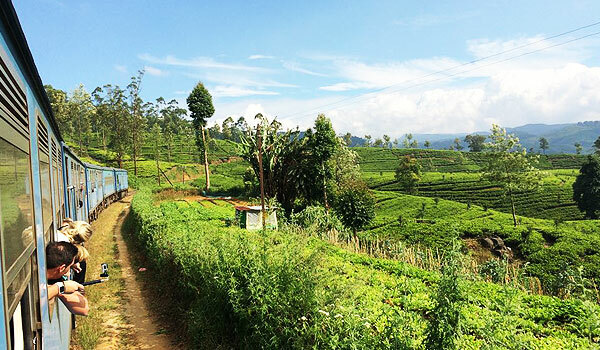 It takes travellers mere hours to escape muggy Colombo and retreat to Nuwara Eliya with its refreshing cool breeze. Travellers can begin in Colombo but the full journey takes ten hours, so most choose to begin in Kandy, the gateway into Sri Lanka’s tea country and the point at which the route becomes picturesque. 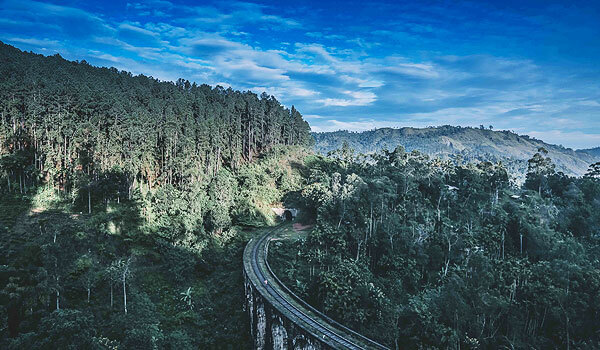 The journey from Kandy to Ella is six hours of astonishingly beautiful scenery that continually transforms as the train winds further into the mountains. Paddy fields give way to thick shrubland and clusters of coconut trees, which in turn are taken over by seemingly never-ending fields of tea. The train was modern and comfortable, not my romanticised vision of an authentic steam train, and travelled at a good pace, just slow enough for passengers to fully enjoy the views. When we entered first class our seats were backward-facing, but before we could sit down a train worker moved through the carriage, flipping all the seats round 180 degrees, allowing everyone to sit back and relax and gaze out of the window at the incredible surroundings. Not that we spent much time in the carriage in the end. The observation deck – where passengers can lean out of the open doors and watch the stunning scenery whip past – was where we spent most of the journey, along with the local children who sat dangling their legs out of the door. As the train went through rural villages, mothers appeared from houses carrying their babies and children ran waving and shouting as they tried to race the train. Tea workers sat cooking their lunch at the side of the track and we sped past cricket match after cricket match, the obsession of all Sri Lankan school boys. 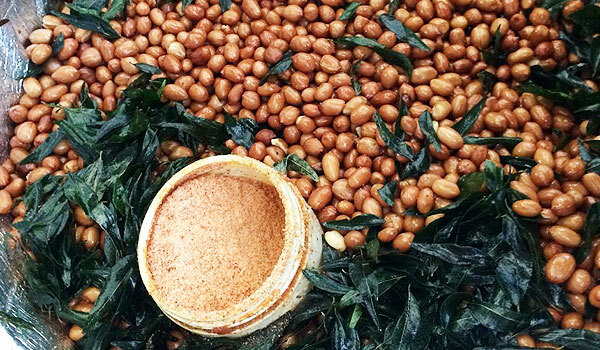 At one of the stations, my friend hopped off the train and bought us some salted nuts spiced with chili and curry leaves. Another vendor boarded the train with a basket of tangerines, whilst some sold bottles of water through the windows to thirsty passengers. 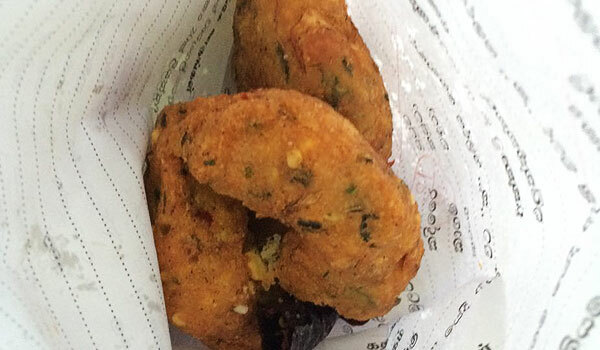 When our train stopped next to another, a group of French tourists bought some delicious waddy from a local man on the other train, money and food exchanged through the windows. 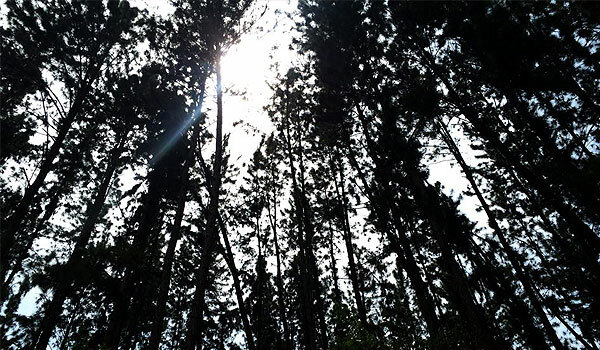 At the highest point, where the train track runs on the edge of a steep drop, you are 1,500 metres above sea level and lush forest covers the landscape. As the temperature drops, only the tropical plants by the side of the track remind you that you are in Sri Lanka. 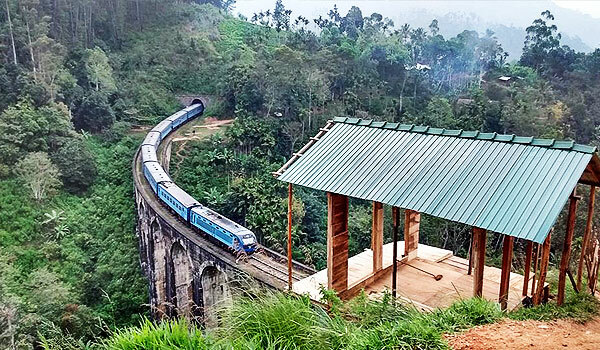 In Ella, which sits 1,000 metres above sea level, the train track runs across the famous Nine Arches Bridge, a 30 metre tall viaduct built in 1921 during the British colonial period. We were lucky enough to get a bird’s eye view. By the time the train stops, you are over 1,000 metres above sea level and have incredible views across the tea country, in particular through the Ella Gap – on a clear day you can see 100km across the southern plains of the island. If six hours travelling is off-putting, don’t completely dismiss taking the train into Sri Lanka’s hills. Instead of journeying all the way to Ella, you should consider stopping at Hatton, which is just three hours away from Kandy by train. 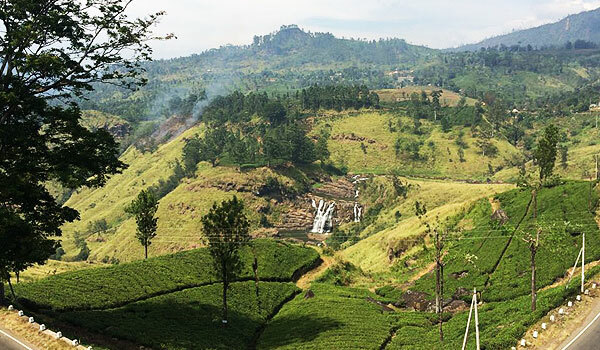 Spend the morning experiencing the beautiful views of the tea plantations before arriving in Hatton in time for lunch and an afternoon exploring the sites. Sometimes referred to as ‘Little New Zealand’, Ambewela is a town in Nuwara Eliya that lies 1,800 metres above sea level. It is a great location for seeing leopards, elephants and Sambar Deer and the enthralling Horton Plains National Park is within easy reach. For those looking to escape the increasing ‘tourist trap’ feel of Ella, Haputale is a fantastic alternative. Enjoy the peace of the hills and visit Adisham Hall, a Tudor-style country house built by English planter Sir Thomas Villiers in 1931 which has since been converted into a Benedictine monastry. Kandy is one of the most picturesque places in Sri Lanka. We stayed at Hunas Falls by Amaya near to the Hunas waterfall which was absolutely breathtaking.